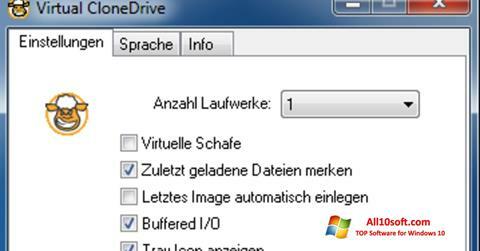 Virtual CloneDrive for Windows 10 allows you to create virtual type disks from already created images. When the application is installed, the drive is created in the system, which is perceived by the computer as a simple drive. Subsequently, you can mount the images that already exist on the device. The application allows you to increase the speed of reading information, regardless of the state of the surface of the physical drive. The program provides support for common image extensions. Up to eight drives can be created simultaneously. You can free download Virtual CloneDrive official latest version for Windows 10 in English.